The Mini Spinner is Made to last. Dryer wax than a cappings press and you can't jam it up. 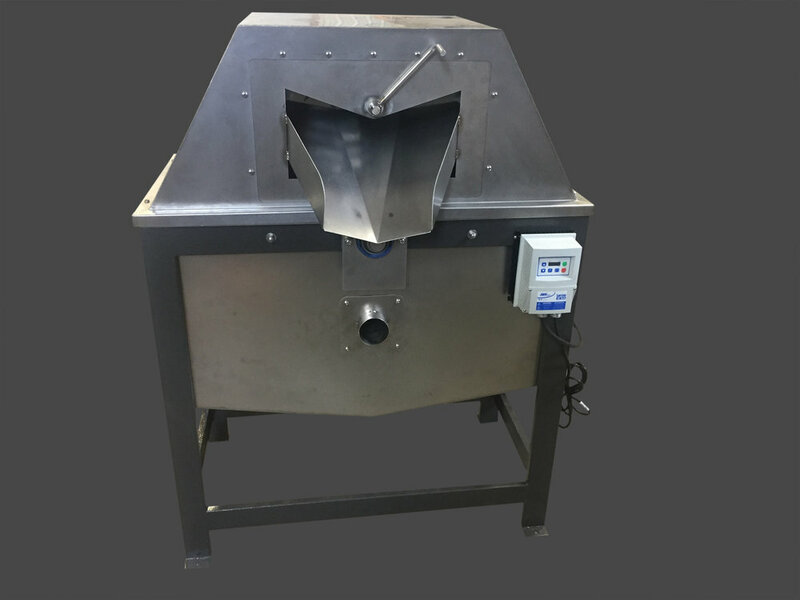 the Mini Cappings Spinner is made of heavy materials and can keep up with our 28 Frame Extractor. A convenient knife removes the dry wax making it easy to unload. You let the cappings accumulate in the Mini Auger until it's full and then turn it and the spinner on, once the auger is empty you shut the auger off and let the spinner spin. By the time the auger is full again the cappings in the spinner should be dry, just pull down on the knife handle and unload the dry wax and you're ready to start again. 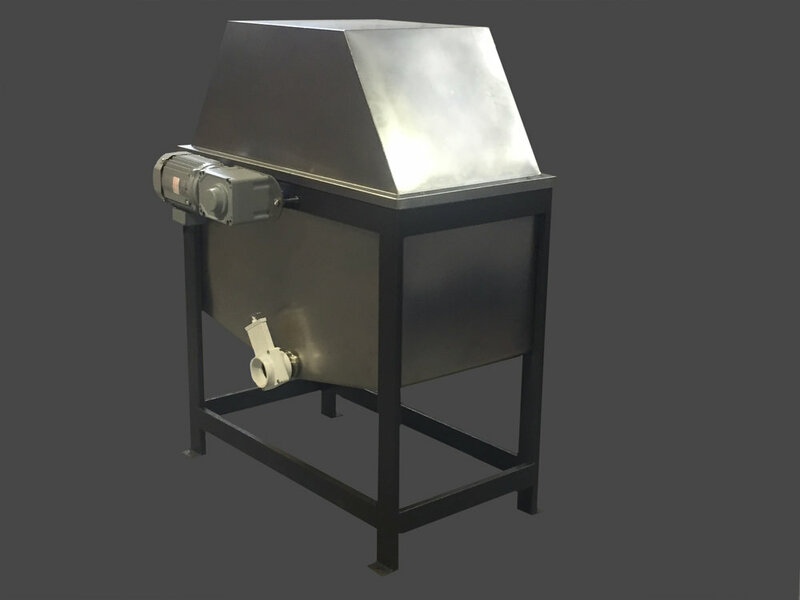 The Mini Spinner is 46"x36"x60"Tall. 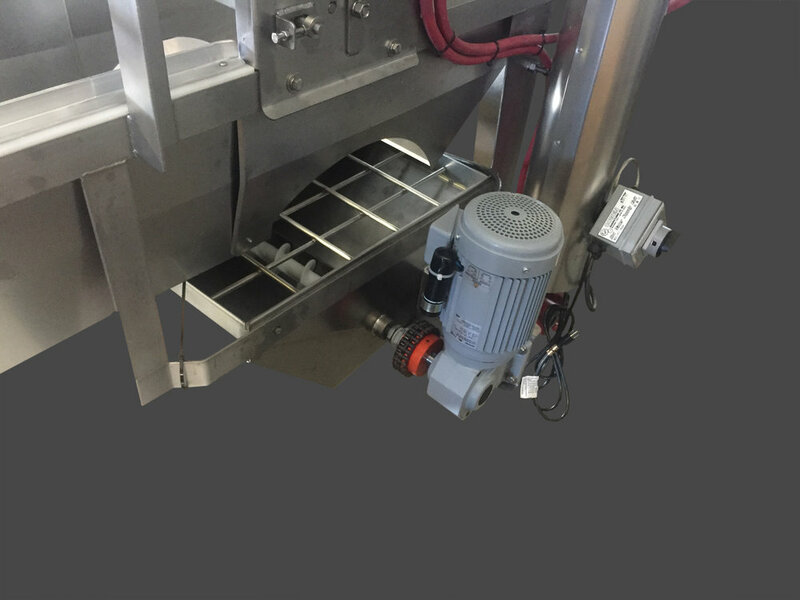 The machine operates on 115V and has a variable frequency drive with a 1hp motor. A more Economical option than our full size auger, the mini cappings auger is a perfect combination with our Mini Cappings Spinner. The Volume of the Mini Auger is matched to the capacity of the Mini Spinner and hangs directly beneath your uncapper. The hopper on the Mini Auger is 24"x24" and the pipe is 24" long. The mini auger operates on 115V with a 1/2hp motor and includes a reversing switch.